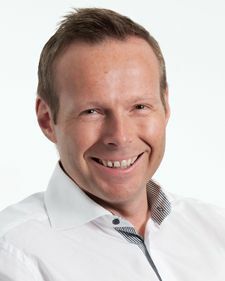 Pexip has appointed Asmund O. Fodstad its new CEO. Fodstad formerly served as EVP of global sales and marketing at Pexip. Former CEO and co-founder Simen Teigre will join the company's board of directors and through a transitional period serve as special advisor to the CEO. Fodstad joined Pexip in April 2013. Prior to Pexip, he gained 20 years of leadership experience from companies such as Tandberg, REC, and projectiondesign, and as general manager at SuperOffice. Asmund has extensive experience building global sales, marketing, and distribution networks. Based in Hong Kong, he developed Tandberg's APAC business and lead REC's global sales beyond a billion dollars. In his New York-based sales leadership role at Pexip, he has built a high-performing global sales operation and delivered strong commercial results for the company. "I am deeply honored and extremely excited about being appointed CEO," said Fodstad. "Pexip is enjoying tremendous momentum in the market, and in my new role I am fully committed to taking Pexip to even greater heights." Pexip customers are now using the Pexip Infinity platform at a rate of 100 million minutes annually, a doubling from just six months ago. With recurring revenue growing at a rate of more than 300 percent year over year, Pexip has a presence in 15 countries on five continents, and customers in more than 50 countries around the world. "It has been an incredible journey with the Pexip team over the past three and a half years, building Pexip from the ground up to becoming a global disruptor in collaboration software," said Simen Teigre, co-founder and former CEO of Pexip. "But being CEO of a high-tech startup is like running a sprint where the distance is a marathon — the race is thus best run as a relay. As CEO, I believe the time is now right to pass on the leadership baton."